CYBERMINE systems are deployed by the global mining industry to optimise the performance of their heavy equipment operator workforce. 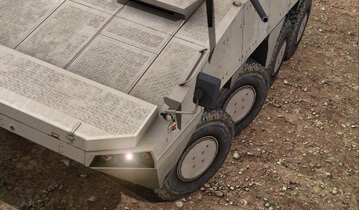 The CYBERMINE products range from e-learning through part task trainers to advanced full mission simulators. 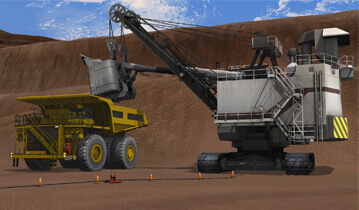 CYBERQUIP simulators are used in the construction industry to optimise the performance of heavy equipment operators. 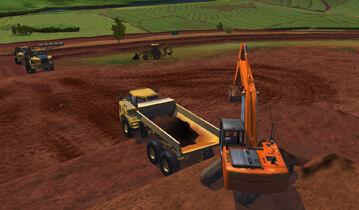 CYBERQUIP comprises of a range of high fidelity earth moving equipment simulators. CYBERWAR is deployed by global defence forces to optimise and enhance the training of modern military land forces across a range of different operations, reducing costs and improving training efficiency wherever deployed. ThoroughTec Simulation, the world’s leading supplier of hi-fidelity, heavy equipment operator training simulators, is on a roll in Zambia, with a number of recent sales to surface and underground mines in the country. Durban-based global supplier of surface and underground mining simulators ThoroughTec Simulation developed the CYBERMINE WX platform that monitors operator performance and provides targeted training to improve efficiencies.